Jose Lopez has been claimed on waivers by the San Francisco Giants. 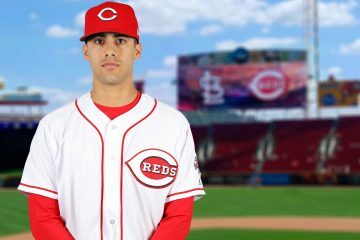 The Cincinnati Reds announced that they have designated right-handed pitcher Jose Lopez for assignment. The move was made to open up a spot on the 40-man roster for left-handed reliever Zach Duke, who the Reds agreed to a deal with last week but only made official earlier today. The Reds originally drafted Jose Lopez out of Seton Hall in the 6th round of the 2014 Major League Baseball draft. He didn’t pitch that year as he was recovering from Tommy John surgery. The next season he joined the Billings Mustangs in the second half. The 21-year-old pitched well in his pro debut, posting a 3.16 ERA in 57.0 innings. 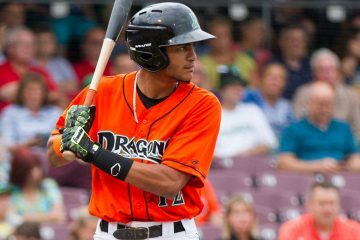 The next season saw Jose Lopez step up and split his season between Dayton and Daytona. Between those two stops he posted a 4.07 ERA in 148.0 innings, allowing just five home runs, walking just 42 batters, and he struck out 147. But it was the 2017 season that saw him break out in the minor leagues. Splitting his season in Daytona and Pensacola, he dominated. With the Tortugas he made nine starts, throwing 50.2 innings. 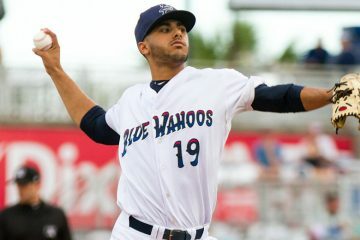 He was then promoted to Double-A Pensacola where he pitched in 17 more games. Between those stops he combined for a 2.57 ERA in 147.0 innings. He walked 49 batters and struck out 143. Last year he spent the entire season in Triple-A Louisville. Overall he was solid, but unspectacular. In 141.0 innings he posted a 4.47 ERA with 41 walks and 117 strikeouts. His strikeout rate dropped significantly from where it had been in the past. Overall his season was a tale of two stretched. In his first seven starts with the Bats he posted a 5.80 ERA in 35.2 innings. In his next 17 starts he posted a 3.72 ERA in 94.1 innings. The final two starts of the season were a bit of a struggle for the right-hander, allowing 8 runs in 11.0 innings. 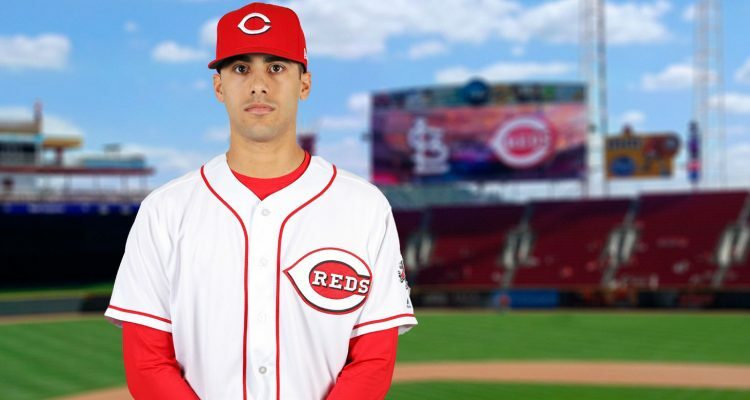 The Reds have a lot of pitching depth currently, but Jose Lopez wasn’t the first guy that I expected to be removed from the roster if and when the team needed a spot. It’s possible that he could remain in the organization if no one claims him. We are going to have to wait and see if that happens. He may put his travel on hold, though. Pitchers and catchers were due to be in Goodyear tomorrow. He currently has nowhere to report, and there’s a chance he could be claimed and have to report somewhere in Florida. Matt Bowman or Blake Trahan are the only others I would’ve considered before Lopez. Jesus Reyes close, but I think his arm plays up in the bullpen to possibly make the roster. Bowman, he was with Bell in St Louis so there’s something there he likes. Trahan, backup SS, no one ready to step into that every day at Louisville it would appear. Christian Colon maybe if he doesn’t have an opt out? Hate to chance losing Lopez, but the depth is there on the whole. If an injury happens then Blake might be needed. Somebody’s going to get a good pickup. Don’t expect him to stay with the Reds. Yes their is depth now with all the off season pickups. High quality depth? MLB in the long run depth? With pitchers that’s the big ??? Who would you have though being designated besides him? You designate Finnegan. No one would take him. Lopez is gone, probably by tomorrow (Feb. 12) morning. Duke for $2M seems like a good deal. Would have designated Wisler, Graham, Bowman, etc. Efore Lopez. I thought Duke was signing a minor league deal. At this point last year there was discussion about the possibility of Lopez pitching in the rotation in September. I am not surprised Trahan wasn’t DFAed. I think he will be on the 25-man roster and will get a lot of time as a late inning defensive replacement for Peraza or Gennett. I could see Peraza slide over to second or into center when Trahan comes into game. If they are investing in pitching they need to improve defense when possible. Of course someone could claim him, and try to pass him through waivers. Hope Tony turns out better. Have my doubts considering the reds track record with developing arms. The pessimist in me sees a similar 2021 article on RML with his name in the title. I personally would have DFA’s Peralta. He has had one good month and otherwise can’t find the strike zone. Peralta is at the top of my list for DFA as well. Finnegan has to be up there too. IN 2017 Price was using a very effective Peralta 4 or 5 days a week, until he was burn out and ineffective in September. In 2018 Wandy did not regain his form. Last year Price was on the same path with Garrett and his performance began to wane in September. I believe they both can regain form and would be a mistake to give up on either and to this point the Reds agree. I would give Finnegan a little more rope, in that I don’t know how much the injury last year affected him over the season. But yeah maybe over the promise of Lopez. Peralta was only good for a month in 2017. He’s been bad since. How did they DFA Lopez over Jackson Stephens? Don’t like it at all. Dumb all around. Reds should have known when they signed someone they were going to lose someone. I feel like we lost someone better than we gained and we paid two million for a one year deal. I don’t think the Duke signing mattered until now. Duke probably should have been a minor league free agent or just move on. Not much upside. Jose Lopez didn’t have a great year last year, but there was enough there to think this year could be much better. I think this will be his year and he’s cost controlled and well the Reds need starters. Of course the Reds knew when they signed someone that they would have to DFA someone. Same thing was being said about Hughes and Hernandez last year. How did that work out. Agree …lot of pushback for a 25-year old RHP with meh AAA results. HR rate too high and K rate too low. I anticipate he is unclaimed and outrighted to Louisville shortly. There are at least a couple of others just as vulnerable on the 40-man roster. I third this opinion. In fact your definition of ceiling is generous. I don’t think he will accumulate 60 innings in his career. And the innings he does accumulate will be sub-par. I am also surprised by this move. I had though Lopez would be part of an impressive Louisville rotation of Mahle, Reed, Romano, Sims, Mella & Lopez. Stephenson & Wisler have to be part of the Reds staff to avoid losing them. The other 6 members of the bullpen are Iglesias, Hughes, Hernandez, Lorenzen, Duke & Garrett. What does this mean for Matt Bowman? Matt Bowman suffered from Raynauds disease last year. He had a medical procedure & is expected to be healthy this spring. I believe he may make the Reds 25 man roster . Even if he doesn’t, he has 2 options & should contribute to the Reds relief corp this season. He was pretty good in 2016-17 for the Cards. I didn’t see Lopez as making the Louisville rotation to start their season. I consider Mahle, Reed, & Sims pretty much locks, with Finnegan (if healthy), Moscot (if healthy), Romano, Mella, & Despainge(sp) possibly ahead of Jose. It’s still a crowded field. Romano has proven beyond a shadow of a doubt that he is not a ML SP. He should be in the bullpen in Louisville so he can learn how to be a RP. More importantly, he can show the Reds if he is their best option in the bullpen when an injury arises. This is such a weird statement. He’s going to be entering his age 25 season. There are so many pitchers that weren’t very good as starters by this point in their careers who turned into outstanding (and even some Hall of Famers) pitchers. Where i’m inclined to agree with Stock is that I don’t know if Romano has a usable third pitch. At least not at the MLB level. I think Romano proved last year that he can be effective in the bullpen. If he is sent back to Louisville, it should be as a starter and see if he can develop a hird pitch. He already has two pretty good pitches. Hope he does well- looking at their 40 man, he will be a lot higher up the list than with Reds and the roadblock of #4-5 starters. What bothers me is they should have been able to get something for him. Former 6th rounder with decent minor league #’s. 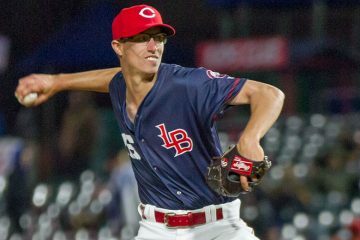 John Sansone is one of the reds worst minor league players WITH HARDLY ANY UPSIDE. At 25, still stuck in A ball, but you let Lopez walk? Who’s making these lousy decisions? I don’t think you understand how the roster works. The 40-man roster does not work like minor league rosters. John Sansone was not on the 40-man roster. Jose Lopez was. It was not an either or decision.